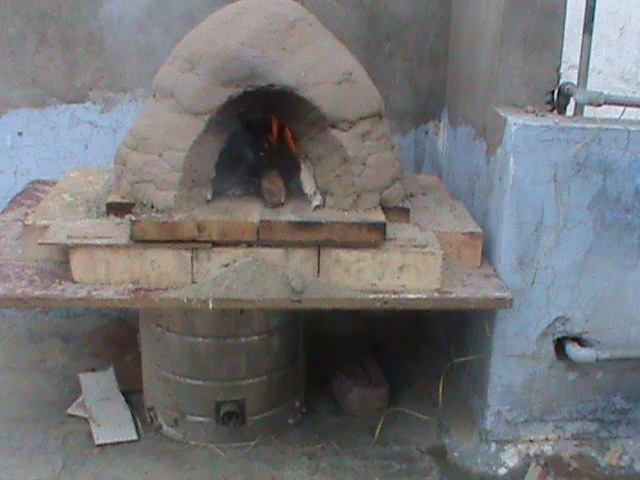 Clay oven is a continuation of my DIY oven projects. This project was as exciting as the brick-oven project. It involved sourcing materials like the base, platform, clay, sand, saw-dust etc. This too is on the roof of my house. Photo 2 shows the profile. You can see that it is a small one. The diameter is about 19" and the height about 14". 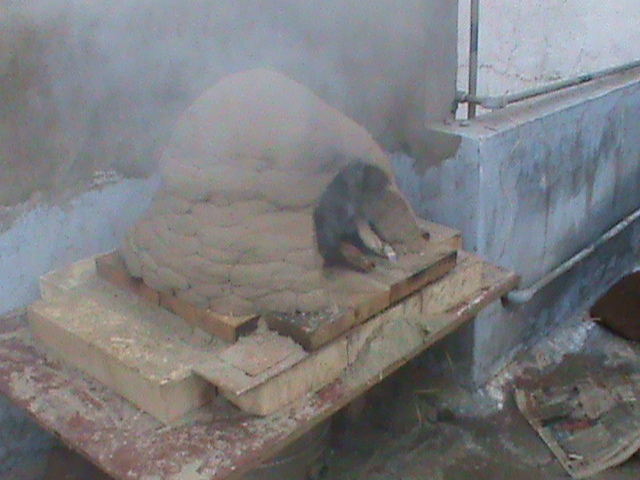 Photo 3 shows the oven on a plywood platform, which is placed on an old metal water boiler drum. The oven opening is quite small - around 11 inches. 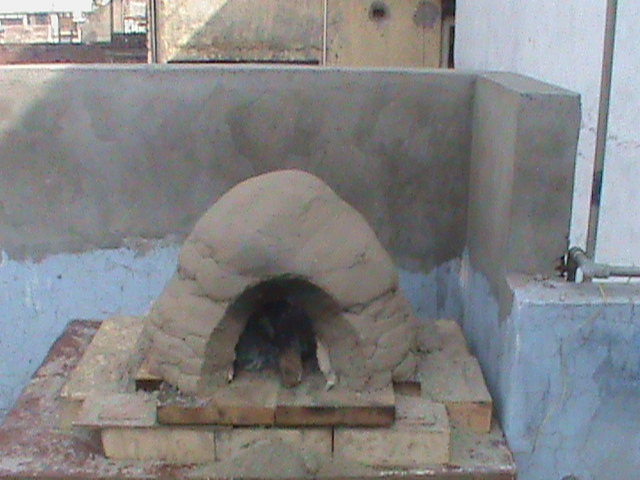 Photo 4 shows the clay oven being fired for the first time. 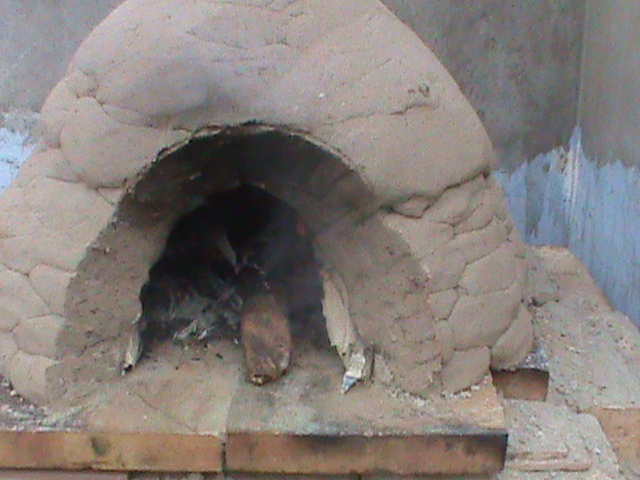 The courses of the cobs can be seen on the walls of the oven as ridges. This first layer - the refractory layer, is a mixture of clay and sand in the ratio 1:3 with a water. Mixing it was quite a task. I had to mix five batches of 8 kgs of the mixture in every batch. My son, his friend and my neighbor's daughter helped me. I could not finish the structure in a day. It took me 9 hours over a period of three days to finish it. With a group of 5-6 people, it should take much lesser time. Leave some space to move around behind the oven as well. Make a cardboard form for the arch of the sand form which will help to pile on the sand more evenly. After that I will have to build the insulating layer.